Update: A slight clarification on my part. 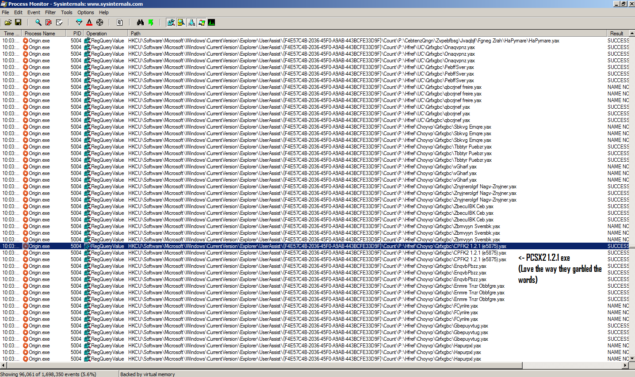 The screenshot only proves that the origin client is actively looking at the list of the programs recently run. Basically it shows that origin is aware of the files you have on your PC (that have been run). [Report] A very interesting thread on the Reddit was sent to me by my colleague Tyler Roemhildt. It turns out that EA is snooping files aka spying on your usage habits via the Origin client. And it looks like this is more or less confirmed because Origin representatives claim “they are trying to get to the bottom of this”. Ah, so they are doing it for our benefit, whew, that makes me feel so much better. Jokes aside, the thing is, massively collected information or Big Data is the crux of predicting and analyzing marketing trends. However doing so in such a covert and hidden-from-the-user-way is borderline unethical. There should be an opt out option in the gaming client like so many other products offer. Oh wait, there’s this part in the TOS “if you do not want to use this technology, do not play.“. So this is a very interesting conundrum where a very serious allegation, along with proof, has been placed on EA and Origin. Now, I am pretty sure they would be safe from a legal standpoint, but this could turn into an absolute PR disaster if it is not handled correctly. We will be keeping an eye out on the news to see how this turns out.